So, You Want To Be An Author? Part One – Why? 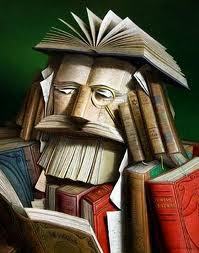 It is said that everyone has a book inside them. Who said it first? I have no idea and Google is being unco-operative in helping me find out. In last week’s post Back When I First Started To Write, I gave a very edited version of my path into writing. So this week I thought I’d expand on it by running a series on the writing process and using my own experiences and what I’ve been taught by the WWBC and myWANA guru, Kristen Lamb. So, You Want To Be An Author? Part One is going to be about WHY? Why do you want to be an author. Now, if you read last week’s post you’ll have a rough idea of my background and my unhealthy fascination with Dempsey and Makepeace…..moving on. But for those who don’t know anything about me, keep reading. This week saw World Book Day and it got me thinking. What other stories and characters, other than the suave Michael Brandon, have inspired my writing. My first book for instance was Enid Blyton’s ‘The Children of Cherry Tree Farm’. At least it’s the first one I remember reading. In fact, I loved all Enid Blyton Books. What kid didn’t? I would have given my right arm to be a member of the Famous Five! But that would have made it the Famous Six….unless I off’d George or Timmy or…..did I just say that aloud? At school, my three page story assignment turned into a mini 30 page ‘who-done-it’ novel. I received an A- for that piece of work and it ended up taking pride of place on the staff room coffee table. My favourite TV shows were CHiPs, Hart to Hart, Hunter, Murder She Wrote. If there was a murder committed and a mystery to solve, I loved it. 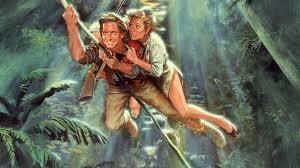 My love affair with Michael Douglas began when I saw him Romancing the Stone away from Kathleen Turner. I wrote many ‘man-saves-woman’ mysteries set in jungles after seeing that film, I can tell you. I was born to write, and write crime and horror and mystery. But does that answer the ‘Why’ I want to be an author? I don’t believe it does, although it certainly explains where my love for writing has come from and why I write the genres I do. So, why do I want to be an author? If I really strip away the outer layers and plunge head first into the core of the question, it has to be this. I want to scare the crap out of people. And, after they’ve wiped the sweat from their brow, reset their pacemakers, and put the book back onto their shelf – it’s my name I want them to see on the spine. Money has never been the drive behind my wanting to write. Just as well considering there’s hardly any money to be made in fiction – unless you name ends in King, Rowling, or Grisham. In today’s world of digital publishing, and the ever increasing e-books downloaded onto Nook and Kindle and iPhones etc, my spine dream may end up being just that. But then, I’m not the kind of girl who sets her sights on only one thing. If I can’t have my book-spine, then I’ll have other things instead. Okay, so being read on a Kindle isn’t my dream but it isn’t that bad either. And I’ll be just as happy for people to see my name among the end credits of a show as they scroll to the top of someone’s 42” TV. So, that is why I want to be an author. Now, lesson one. Tell me why YOU want to be an author. None of this “Oh, I’ve loved writing since I was a kid” baloney. I want the real nitty-gritty reason. Nitty-gritty eh! That could be story in itself lol!!! I have no idea why I wanted to be an author. I’ve just always had a very active imagination, I suppose. I do love to write fun stuff, and I’m finding I rather like to write screenplays and shorts rather than longgggggggg novels. I wonder if it’s because I was born in the Chinese year of the Monkey and get bored easy lol!!! Haha! Yes, you have read my scripts 🙂 And there’s more to come now my short story is published. I’m so excited I’m dancing the Polkarama 🙂 That’s a song by Weird Al Yankovic in case you’re wondering. Do you know where that blue book is now? How awesome it would be to read that again! I can honestly say that “I loved writing since I was a kid” isn’t the reason for me – as I hardly wrote anything when I was a kid. I was too busy climbing trees, falling out of them, riding my bike, playing video games, reading and constructing the ultimate super weapon out of technic (or a truck, as it so often turned out to be). When I did write stories I got praise for them but I never once considered it as a thing I should do when I had so many other people’s stories to consume. Then a weird thing happened when I was about 18 – I was studying Classics and it suddenly dawned on me that the story I was reading (The Odyssey) was over 2500 years old. Someone (or a few someones) created a story that was still being told thousands of years later. And in my hubris I wanted to try to create something that would last, that would exist long after I was gone. But of course the weight of that put me off starting so it took another ten years for me to actually take the writing seriously (after a few real-life dramas that kicked my arse into gear). Now, I write simply because I have no choice – the stories want to be told and put a gun to my head until I do. But when I get distracted or disheartened I keep myself going because I know I want to leave something for others to enjoy, in my time and beyond. I’ve always loved mysteries, ever since I was a kid. Not the gritty kind where folks are tortured and then dismembered, but the cozy kind, with a puzzle and memorable characters. Pure escapism. I want to be part of contributing to that tradition, and give other readers the same pleasure I get from reading mysteries. I used to sit on the floor of the library mystery section reading Agatha Christie novels! Hope to read one of yours Kathy! Love this! I’ve always love crime shows and mysteries, probably because my parents watched cop shows, lol. I’m drawn to the darker side and fascinated with the criminal mind. If I had to give one reason why I want to write, it would have to be because I love it. I love creating worlds and characters that people will become attached to and alternately love and hate. Thanks Stacy. I feel honoured you’re here! Diagnosis Murder! Wow, haven’t thought of that show in far too long. I loved it (and of course “Murder, She Wrote” 😀 ). And now, reading your comment and Stacy’s I understand my reasons for writing science fiction with a strong suspense and mystery underpinning; with childhood exposure to Emergency, Quincy, Battlestar Galactica, the above mystery shows, and more, what else could I do. Oh, and the horror… and the romance… Wow! Thank you both for bringing up some wonderful childhood memories. Why do I want to be an author? Well that’s a good question. No, your ideas are too lovely to be torture! My kids made me do it. They heard all of my stories since they were babies and wanted me to write them down. An added plus is that I enjoy writing (most of the time). The kids made me! LOL, Love it! Kristen was the first person that ever asked me WHY I wanted to a writer and to demand a real answer. I wrote stories and poems for assignments in class when the teacher wanted a paper. When we had to write an essay, I asked to do a spoken word performance. You know how some people are “self smart”. I’ve journaled for years and my favorite books to read are memoirs. I want to share my story, because it was the words of others that told me “I am not alone.” I want to give that feeling back. Jess, that’s amazing! Kristen has a way of making us dig deep, doesn’t she? Thanks so much for sharing. I’m so glad writing found it’s way back to you. I agree a writer MUST write. I can think of nothing I’d rather be doing than writing and luckily I get to do it full time. Thanks so much for commenting. I love hearing the varied paths writers have taken. I loved all the same mystery TV shows you did, Donna. I ended up writing historical fiction. Why? I’ve always written something since I was a kid. From the time I was in my 20s I’ve had a fascination with the WWII period. My Dad was a Marine and my mom had been a chorus line dancer for the USO. Their stories were not particularly amazing to anyone but me.They just kept nagging at me for years. When my mom turned 85 I thought I’d write her memoir, but she wasn’t really remembering things too well and I didn’t have enough details. So I decided to write a fictional novel based on her life, with some elements of my dad in there, too. It’s morphed into a trilogy that begins in 1918 and ends around 1970. Since I began that, so many other ideas have come to me that I’d get no rest if I decided to stop writing after the trilogy is done! Great idea, Donna! Love learning about everyone else’s WHYs. Hi Donna. Wow, so that’s the reason you write? I thought it was just easier to have characters murder people than do it yourself (and I am kidding there!). I like to write because its fun and I want to write to leave something behind in the world. Escape the grave, so to speak … or if that fails at least something that escapes that trash can! I want to write for two reasons. The first – I love making people *feel*. I wrote a poem about sleep when I was in military basic training – everyone who has ever read it has yawned (‘though I never mention that word! ), blinked, stretched and even been a little peeved with me after reading it. And then, I wrote a single paragraph about embracing death that scared the pants off readers (I stopped letting folks see that one, though, ’cause they invariably starting questioning my sanity, emotional stability, or both! LOL), and I love making folks laugh (‘though I’m not as good with that one). Today, however, I write mostly because that’s the medium that most suits my self-chosen mission of educating cat owners on the topic of feline nutrition and, to a lessor extent, behavior. How I came to this isn’t all that important, here, but that it means everything to me is. So I blog, read and write articles about properly feeding cats (go raw if you can, and never feed kibble!!) as well as understanding and adapting to their behavior and motivations in such a manner as to deepen the owner/feline bond. In fact, I have a website dedicated to it: CatCentric.org.